Unionen represents 600,000 private sector workers and its new phone lines will be manned by feminist politicians, comedians, and even scientists. “It is about putting your finger on the small everyday problems which become large when they stack up”, the union explained in an article. 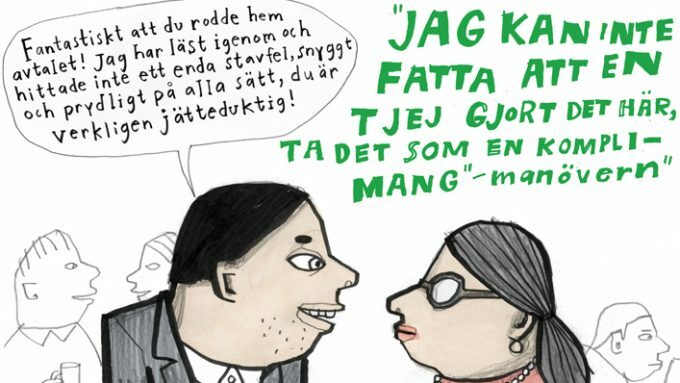 ‘Mansplaining’ is a term used by feminists to describe a recently invented gender relations crime, defined by Unionen as when “a man explains something to a woman without being asked, particularly something which she might already know more about than the man”. “Have you been the victim of mansplaining? Or do you just have speculations and questions about mansplaining and oppression techniques?” they asked on their Facebook page as they launched the new service. 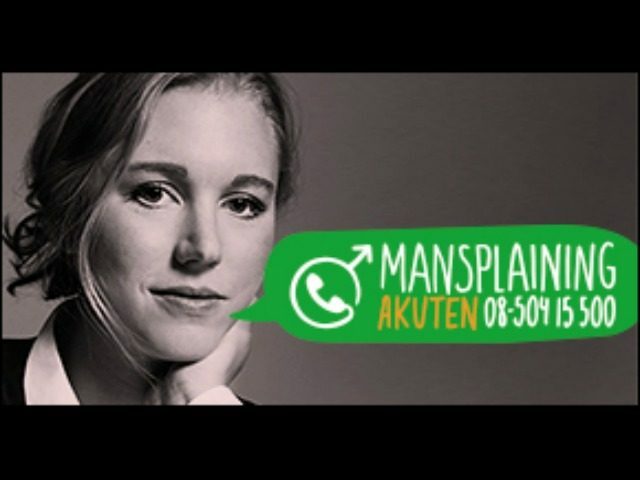 In blog post, Unionen acknowledged that “critics argue the term is unfounded and is a technique that women use against men”. “The word is not recognised except within a narrow circle of left-wing ideologues who are often trained in pseudo-science gender studies,” he added. To back up this claim, the group references a study by the American Psychological Association, which supposedly found that men “tend to overestimate their intelligence to a much greater extent than women”. “The study also showed that self-assurance in men grows with age,” they add.